The hallmarks of the pacesetting leadership style sound admirable. The leader sets extremely high performance standards and exemplifies them himself. He is obsessive about doing things better and faster, and he asks the same of everyone around him. He quickly pinpoints poor performers and demands more from them. If they don’t rise to the occasion, he replaces them with people who can. Work becomes not a matter of doing one’s best along a clear course so much as second-guessing what the leader wants. At the same time, people often feel that the pacesetter doesn’t trust them to work in their own way or to take initiative. Flexibility and responsibility evaporate; work becomes so task- focused and routinized it’s boring. As for rewards, the pacesetter either gives no feedback on how people are doing or jumps in to take over when he thinks they’re lagging. And if the leader should leave, people feel directionless – they’re so used to “the expert” setting the rules. Finally, commitment dwindles under the regime of a pacesetting leader because people have no sense of how their personal efforts fit into the big picture. For an example of the pacesetting style, take the case of Sam, a biochemist in R&D at a large pharmaceutical company. Sam’s superb technical expertise made him an early star: he was the one everyone turned to when they needed help. Soon he was promoted to head of a team developing a new product. The other scientists on the team were as competent and self-motivated as Sam; his métier as team leader became offering himself as a model of how to do first-class scientific work under tremendous deadline pressure, pitching in when needed. His team completed its task in record time. But then came a new assignment: Sam was put in charge of R&D for his entire division. As his tasks expanded and he had to articulate a vision, coordinate projects, delegate responsibility, and help develop others, Sam began to slip. Not trusting that his subordinates were as capable as he was, he became a micromanager, obsessed with details and taking over for others when their performance slackened. Instead of trusting them to improve with guidance and development, Sam found himself working nights and weekends after stepping in to take over for the head of a floundering research team. Finally, his own boss suggested, to his relief, that he return to his old job as head of a product development team. Although Sam faltered, the pacesetting style isn’t always a disaster. The approach works well when all employees are self-motivated, highly competent, and need little direction or coordination – for example, it can work for leaders of highly skilled and self-motivated professionals, like R&D groups or legal teams. 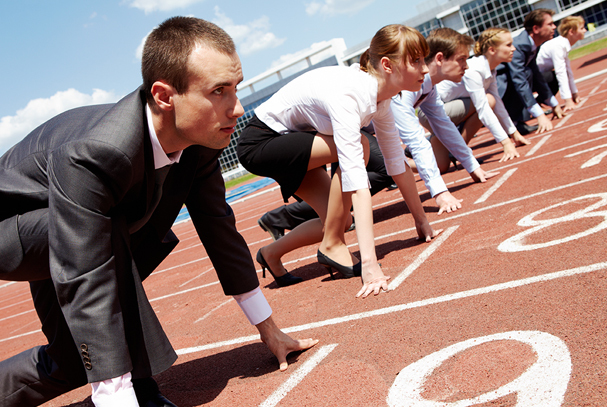 And, given a talented team to lead, pacesetting does exactly that: gets work done on time or even ahead of schedule. The pacesetting style has its place in the leader’s repertory, but it should be used sparingly. 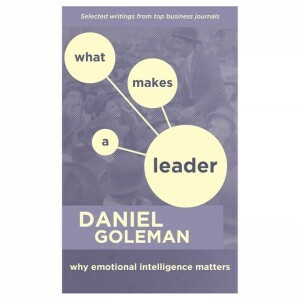 Read more about the research behind emotional intelligence and leadership in my new compilation What Makes a Leader: Why Emotional Intelligence Matters. Daniel Goleman’s book FOCUS: The Hidden Driver of Excellence and CD Cultivating Focus: Techniques for Excellence are now available. His more recent books are The Brain and Emotional Intelligence: New Insights and Leadership: The Power of Emotional Intelligence – Selected Writings (More Than Sound). Leadership: A Master Class is Goleman’s comprehensive video series that examines the best practices of top-performing executives.